Here at Miles Drainage we are committed to providing a sustainable and flourishing environment. One of the ways we do this is by getting involved in works on green energy projects. Working closely with the developers of these systems such as solar farms or Anaerobic Digester plants, we are able to provide them with solutions to problems. 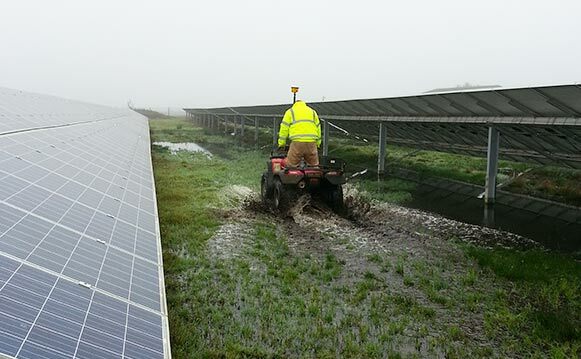 Be it installing drainage to allow the ground to recover following the commissioning of a solar park or the construction of an attenuation system for an anaerobic digester to ensure no contaminates get into watercourses and peak flow rates are not exceeded for the downstream watercourse.